For the first time in history, there is an acute demand for higher education accountability spurred on by increased costs, student request for program relevancy, and accrediting agencies pressure from government to improve and monitor higher education. In the form of budget performance measures, it increasingly commands the attention of community college leaders. 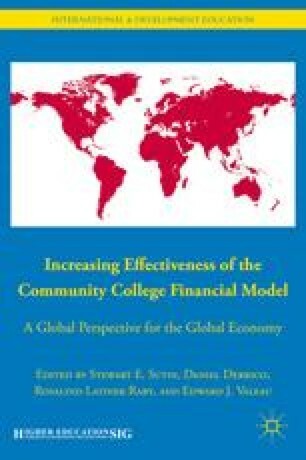 Recently, various performance metrics have been utilized as community colleges struggle with defining a transparent and accountable measurement of budget allocation that balances the various needs of each user group that relies on these resources to perform functions necessary for students to obtain quality education. This chapter will (a) define the limitations of traditional measurements, (b) describe new measurement metrics and their role in program development, (c) compare the two metrics, and (d) provide a model of how new metrics were applied in a two-college district in California.